Good news for all Canasta players says Neill Irwin in April 2018. After the two very enjoyable sessions we have already had I have now managed to fix a time and place for our sessions for the rest of the year. We will meet on the third Tuesday each month from 2 to 5pm in the Yeo Room at Thurlestone Parish Hall. The dates are 15th May, 19th June, 17th July, 21st August, 18th September, 9th October, 20th November and 18th December. Please note the dates in your diary and I look forward to welcoming you for a series of enjoyable afternoons throughout the year. It would be helpful if you could let me know which days you are able to come: Tel. 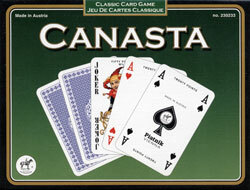 561661 or click Canasta to email. These sessions are open to all U3A members so please do encourage your friends in KEU3A to come along, beginners welcome.